"So natural you could eat it" - one read through of that line and I knew I had to try the gorgeous PLANT Skincare for myself. 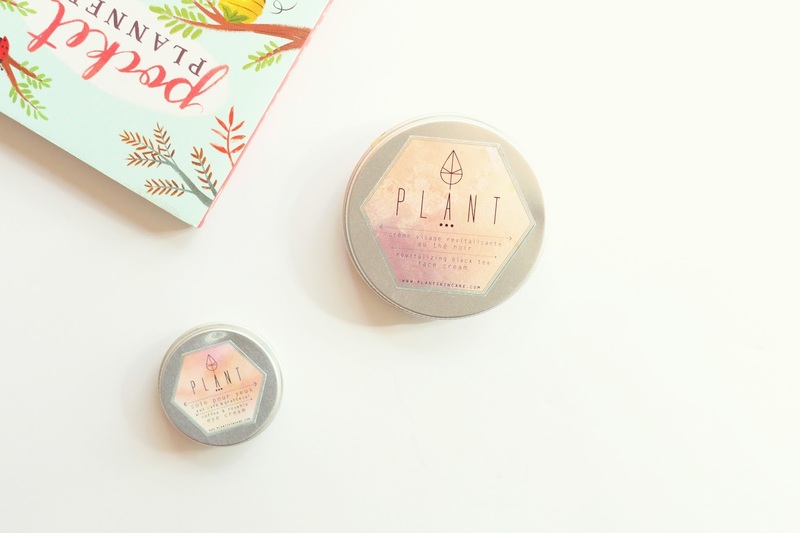 Hailing all the way from Australia, I originally discovered this wonderful green brand through Etsy, a site that has become my haven for finding some of the best natural beauty on the market. PLANT specializes in natural, plant-based skincare that's made fresh to order using only high quality oils and herbal infusions along with plant-based emulsifiers. Basically their products are made up of some of the most fresh, natural and wonderful ingredients on the market. While I've become a bit of a face oil addict, I was very curious to try out their Revitalizing Black Tea Face Cream*, a cream that's perfect for more dry and sensitive skin. Infused with a blend of olive, grapeseed, avocado and apricot oils, as well as black tea, this is one truly unique formula. While it's fairly lightweight as far as a cream is concerned, for the temperature right now I've been using this strictly as a night cream, and with great results. In the morning my face feels smoother and more hydrated and I never wake up with that dreaded "greasy" feeling. I've been using it in combination with the brand's Coffee and Rosehip Eye Cream* which is a light and refreshing cream that absorbs quickly around your eyes. With ingredients like rosehip and coffee that help repair and rejuvenate the delicately think skin surrounding your eyes. It's recommended for all skin types, and I've been adoring it for mine. My eyes always look far more refreshed and moisturized in the morning then usual, and a large part of that is from this little wonder. The packaging, formulas and gorgeous ethics behind this brand are something to be truly admired. I have been loving what I've tried so far and cannot wait to try more! Be sure to follow them on their Twitter and Instagram.